The guys over at Intercity are currently working on a creative project with Havana Club called Inspired Ingenuity and have got in touch and asked us if we would suggest an artist or piece of work that we thought might fit in with that theme. Inspired Ingenuity is a competition they are running which aims to challenge creative people, be they artists, musicians or whatever, to take the everyday and transform it into something special. 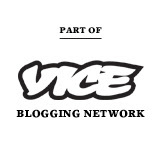 Over the coming six months they will select one winner each month and the final winner will win a trip to Cuba. The 'Inspired Ingenuity' title is a reference to the spirit of the people of Havana, who pride themselves on their ability to create what they need from what they have. The first artist that came to mind straight away was British artist Adam Neate. An artist who over the years has created literally thousands of beautiful paintings all of which were initially painted on found cardboard boxes which he collected from the streets of Whitechapel. Once the found cardboard was in his his studio he would re-use the discarded boxes as canvases, which when transformed with his work were placed back out into the streets for members of the public to enjoy and take home. While we thought that this artist fitted and was in keeping with the Inspired Ingenuity vibe, Adam Neate is no longer working in the streets. After many years of giving away his cardboard painting for free he has moved onto larger scale gallery pieces and as such we feel we wanted to pick another artist who is currently creating works on the streets of East London. 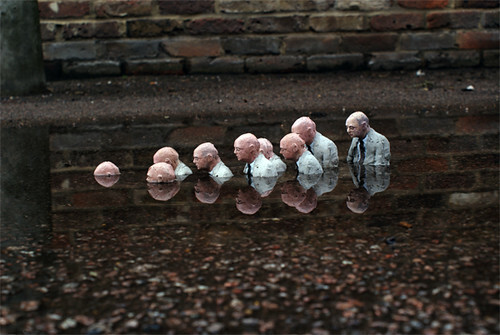 So, we are going to nominate Isaac Cordal (pictured above), whom some of you will have heard of and if not you many have seen his street pieces and not been aware it was his work. In the city we are surrounded by it, we walk on it nearly everyday and if you haven't already worked it out it's the boring grey stuff we call concrete. 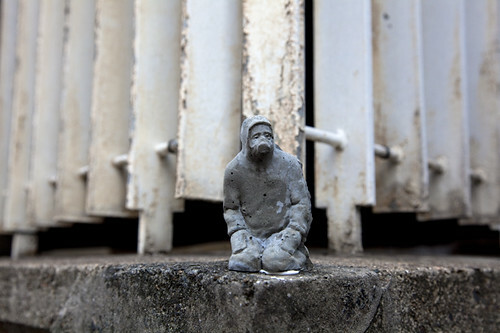 With so much of it in this concrete jungle that we occupy, we love that Isaac has taken this medium often overlooked and used it to create his miniature figures. And similar to the earlier works of Adam Neate, Isaac too leaves his cast of sculptural concrete figures in the streets, where eagle eyed passers by can become the owners of these concrete dwellers. Often perched up high on walls and ledges watching passers by below them these figures are so subtle that they are frequently missed but once seen they bring a sense joy to those fortunate enough to stumble upon them. If you have an idea and want to get involved in the competition head over to Havana Club's Facebook page for more details.